Bollywood star Shahid Kapoor has been open about his relationship with wife Mira Rajput since the time they got married. The ‘Udta Punjab’ actor recently shared an adorable selfie of him with his expecting wife while showing off her baby bump. Kapoor revealed about wife Mira’s pregnancy during the trailer launch of the movie ‘Udta Punjab’. The 35 year old actor got married to Mira in July, 2015 and is now trying his best to be a good husband. 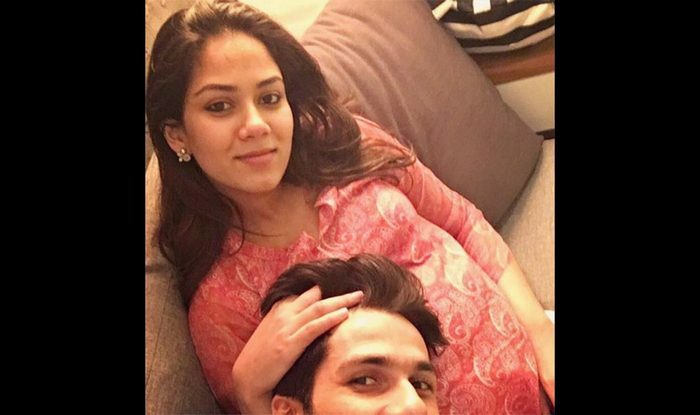 Shahid has reportedly not taken up any projects till the time wife Mira delivers the baby.